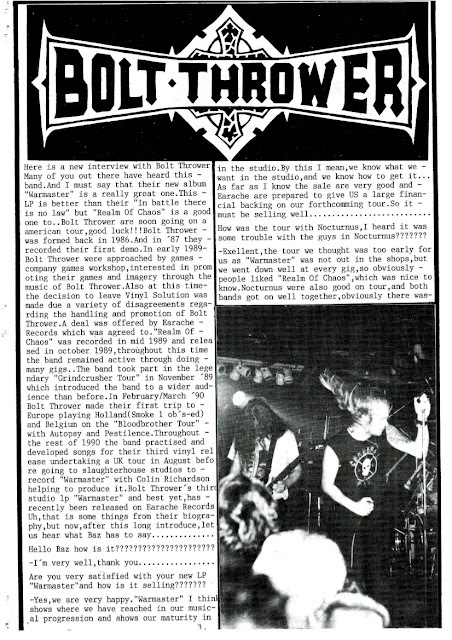 Bolt Thrower is the band that I've probably listen to the most this year (well, along with The Saints & Radio Birdman). Especially "...for victory" & "the IV crusade", perfect albums! 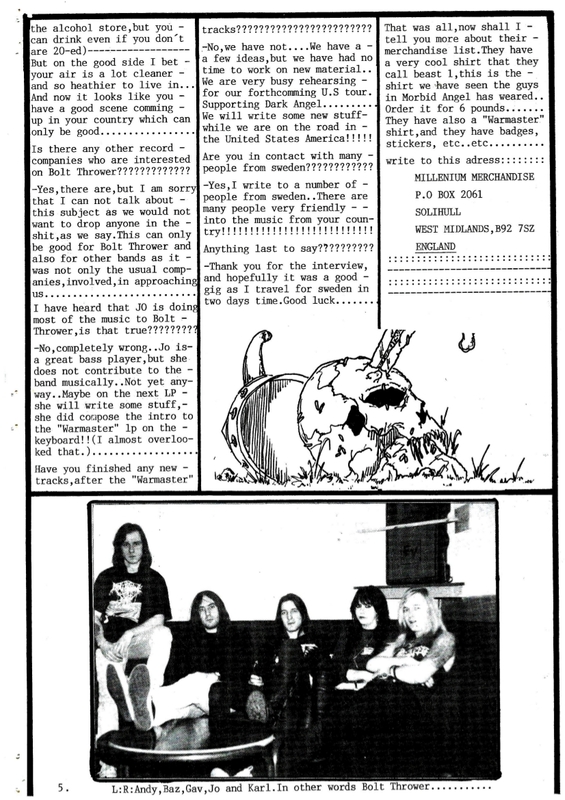 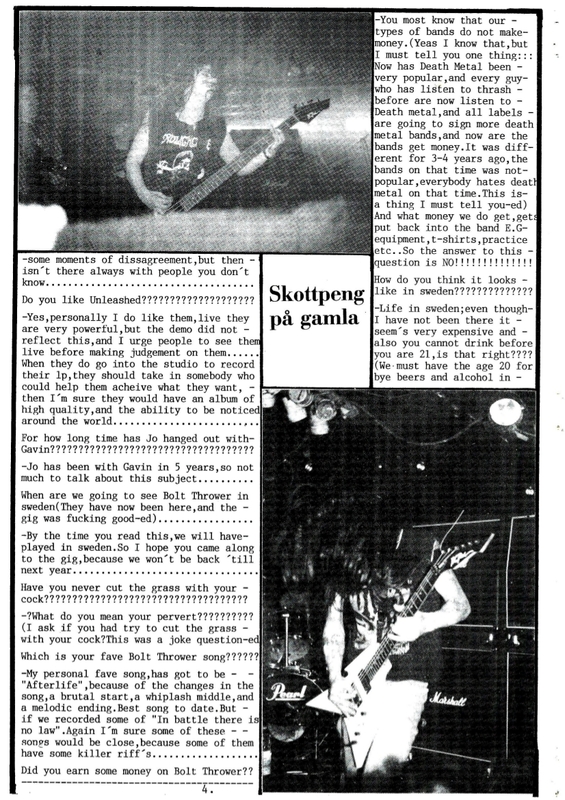 Anyhow, here's an early interview taken from the legendary Putrefaction'zine #5 outta sweden!